In this May issue of INSIDE ATLAS.ti, we share with you news about our company and product, as well as information on learning resources, an article on best practices with ATLAS.ti and a case study from the international community of users. For the Best Practices section, our instructor from Malaysia Ani Munirah Mohamad writes about procedures to back up the project in ATLAS.ti Windows and Mac. In the Case Studies section, we interview Smirna Perez Rodriguez, an undergraduate student at the University of Central Florida, in the United States, who is part of a team using ATLAS.ti in social media analysis. Additionally, in this issue of INSIDE ATLAS.ti we profile our new set of asynchronous e-learning courses, which we offer in English and Spanish. We have made available a set of teaching resources that ATLAS.ti instructors and consultants might find useful. In the ATLAS.ti in the Classroom section of our web site, you will find syllabi, course outlines, sample data, sample projects, bibliographic resources and links to videos. We hope that these resources will help you teach ATLAS.ti or incorporate it into your course curriculum. If you have resources you would like to share with the international community of ATLAS.ti instructors, please contact us. We welcome all contributions. We are getting closer to the Second KWALON Conference. Reflecting on the future of QDA Software: Chances and Challenges for Humanities, Social Sciences and Beyond, which will take place in Rotterdam, Netherlands, on August 25th and 26th. Registrations are now open (click here). From the conference website: "The next KWALON Conference on Qualitative Data Analysis Software aims to organize the reflection on the implications of the recent innovations and trends (in computer assisted qualitative data analysis). Developers and users of software have been invited to reflect on the developments of the past years and to take them as a starting point for a discussion of the requirements for the future versions of QDA tools. We aim for a fruitful debate between developers and users." ATLAS.ti will be present at this important event with a presentation by Thomas Muhr titled "Back to the Future: The Workbench Idea Reloaded". In this presentation, Muhr will discuss how ATLAS.ti will continue to play a leading role in the field of computer-assisted qualitative data analysis as the field develops into the future. The presentation will include a description of the soon to be released version 8 of our software. We look forward to seeing you at this event. The 12th Berliner Methodentreffen Qualitative Forschung, will take place in Berlin between July 22-23, 2016. With around 500 presenters, this event is the biggest qualitative research conference in the German-speaking world. The conference includes paper presentations, workshops and poster sessions in different topics related to qualitative methodology. As it has been a tradition, ATLAS.ti is one of the event sponsors and exhibitors. This year, we will showcase our desktop and mobile applications and will preview ATLAS.ti 8 Windows. To register and submit a workshop/paper proposal, complete this form. If you are in Berlin this summer, we hope to see you at this important event. The ATLAS.ti office for Latin America is actively showcasing our products at universities, research centers and marketing research agencies throughout the continent. In April, after exhibiting at the 12th Annual Colombian Sociology Conference, our regional manager Luis Alfredo Loaiza travelled to Bogotá to visit the Universidad Distrital Francisco José de Caldas. There, he gave an overview of our software at the Department of Graduate Studies, to faculty and graduate students. If you would like our staff to visit your organization, let us know. Dr. Susanne Friese, author of the book ‘Qualitative Data Analysis with ATLAS.ti’ (Sage Publishing), has made available to the international community of ATLAS.ti users a Youtube channel with very useful videos on procedures and approaches with the software. In these short videos (5 to 20 minutes), Dr. Friese shares her views on working with ATLAS.ti (Windows and Mac) creatively and following the NCT method of computer-assisted qualitative data analysis that she proposed in her book. As you browse the Video Blog, pay special attention to the series on analysis examples with ATLAS.ti Mac, with more probably coming in the future. 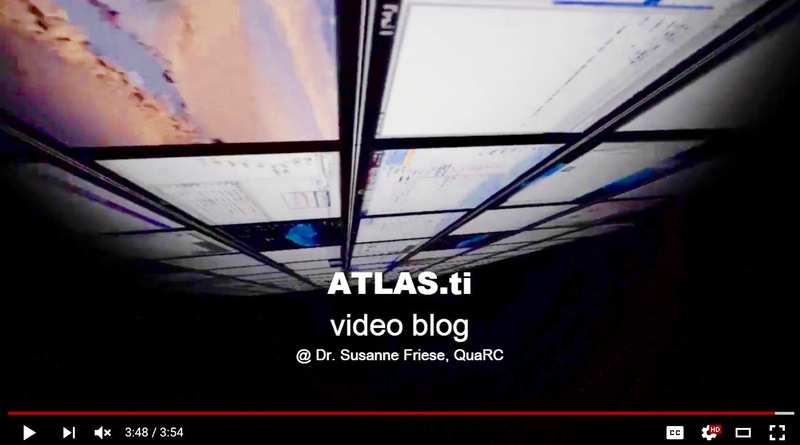 The ATLAS.ti Video Blog can be accessed here. Note from the editor: Dr. Friese’s video blog complements the video tutorials already available on the ATLAS.ti Youtube channel. In these video tutorials we explain, in English and Spanish, the different procedures if ATLAS.ti Window and Mac. The The Qualitative Methods Master Class Webinar Series, a partnership between ATLAS.ti and the International Institute for Qualitative Methodology (IIQM), is in its fourth year already! We are proud to have had as guest presenters well known methodologists and researchers sharing with the qualitative methodology community insights and reflections on the field. Since 2013, we have had 36 presentations, discussing a large variety of topics, some theoretical and some highly practical. On May 19th, Claudia Mitchell will be presenting on participatory video and on June 16th Sheree Bekker will discuss the role of social media and blogging in academia (register here). To see the list of presenters for the remaining of the year, and to register, please click here. The entire list of presentations since 2013 (including links to the video recordings) can be accessed here. "First of all, and for me most importantly, I am a late returning student; pursuing my doctorate in education at the age of 63. I had to stop school for several years because of experiencing a life threatening illness. So, now I often feel like I’m 21 years old all over again because of the sheer gratitude that I have and hold deeply in my heart about life in general. However, that said, I felt compelled to embrace a course of study that I wished might add value to the world in some small manner. The ATLAS.ti software appears to be a natural tool that will, hopefully, enable me to view the vast amounts of data that I am gathering, make some connecting order to them. Hopefully, the process will also encourage the development of some theory that will add to the existing body of both literature and public policy. – Again, I really appreciate the honor of being offered the software for free. 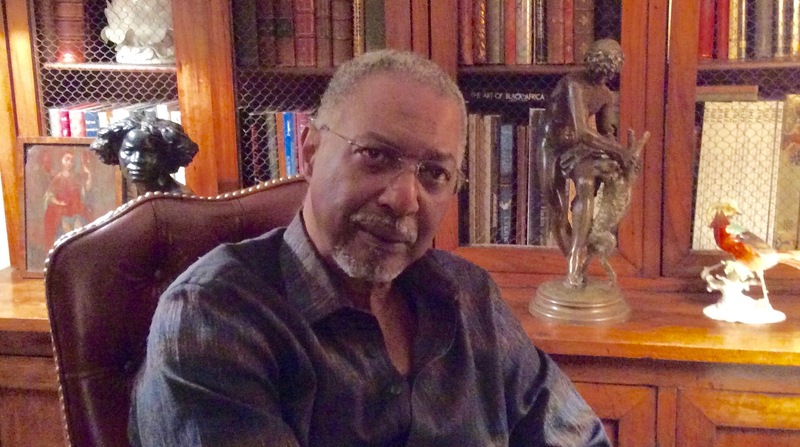 I am learning, all over again that, the financial life of a student can be a bit precarious!" Best wishes to you, Larry! In this issue of INSIDE ATLAS.ti, we would like to tell you a little about our new asynchronous e-learning courses. 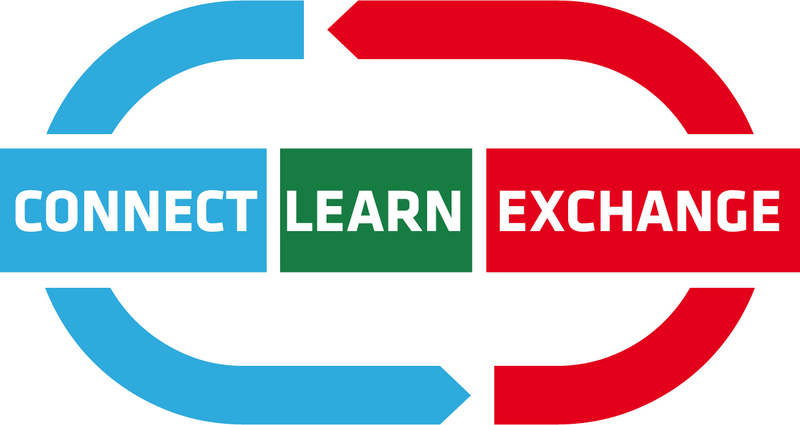 Starting in January 2016, the training division of ATLAS.ti started the implementation of a new set of courses to add to the already strong menu of learning products and services that we offer. The asynchronous courses, which are currently offered in English and Spanish, allow users to learn ATLAS.ti by watching video tutorials, reading accompanying material, taking tests, and accessing other useful resources. Participants can ask questions of the instructor and engage in conversations with course participants through a discussion board that is integrated into the e-learning platform (Litmos). Within 24 hours of purchasing the course, you will receive an email with the link for the e-learning platform. After you complete your registration, you will have 30 days to complete the course. In 20 modules, the Spanish language course covers ATLAS.ti from the very beginning to analysis tools. The course is offered in two modalities: with and without support in the form of email communication and web-conferencing meetings. One of the students taking this course, Gisela Santos Ferreira de Sousa, from Brazil, successfully enrolled for it in December, with the goal of using ATLAS.ti in her doctoral thesis. She said the following: "I liked it very much! I will continue using ATLAS.ti for qualitative analysis for my doctoral thesis! The instructor Neringa was very attentive and helpful during the whole course." The English language course is offered in two sections: introductory and advanced. Both are offered with support by email and the discussion board. The introductory section has been named "Fundamentals of ATLAS.ti: From Project Set-up to Coding and Outputs". The advanced course, which will be released by mid May 2016, has been named "Beyond the Fundamentals with ATLAS.ti: Analysis and Report Writing". Each section is taught in 20 modules. We are currently offering the asynchronous courses on ATLAS.ti 7 Windows only and equivalent versions for ATLAS.ti Mac will be released by June of this year. To register for these courses, please click here. If you have questions, do not hesitate to contact us. Thank you! We offer free overview webinars in ATLAS.ti 7 Windows and Mac, in English and Spanish. They are offered at different times, making them convenient to people anywhere. To register for the one of your choice, please click here. We are starting in May a new series of free demo webinars on using ATLAS.ti for literature reviews (English and Spanish), on multimedia analysis, and a demo on the iPad ATLAS.ti Mobile application. We are particularly excited about demonstrating the iPad ATLAS.ti Mobile application. With it, researchers can take ATLAS.ti to the field, write their notes, take pictures, audio and video record, and start segmenting, coding and writing reflections right there and then. We hope you can join us in some of these presentations. For more information and to register, please visit our website here. This time, we want to highlight the face-to-face workshops scheduled for May and June 2016. In this short Best Practices article, I will discuss the processes of backing up and transferring projects in ATLAS.ti 7 Windows, ATLAS.ti Mac, and ATLAS.ti Mobile (iPad and Android apps). Very often when we talk about creating backup files, people will assume that it is a precautionary measure just in case something unwanted happens to our analysis projects. While this assumption holds truth to some extent, in this article, I will consider a couple of other occasions in which we might need to create backup files more often than we think. I will also discuss some matters surrounding this issue. Finally, I will describe the methods of creating project backup files for different purposes. This month we interview Smirna Perez Rodriguez, an undergraduate senior in the Department of Writing and Rhetoric at the University of Central Florida (UCF). She is part of a research project on social media use in higher education. We are a four-year public doctoral institution. We are the second largest university in the nation; enrolling over sixty thousand students total. We offer 210 different degree programs, and we are one of the nation's most innovative universities as ranked by "US News and World Reports Best Colleges 2016." Students at UCF come from 50 states and 148 countries. UCF is one of 25 public universities with the Carnegie Foundation's highest designation in community engagement and very high research activity. Help ensure that we fill future issues with information and news that is relevant to you. Simply use the feedback link to tell us what you liked and what you would like to read about in future issues. © Copyright 2016 ATLAS.ti Scientific Software Development GmbH. All rights reserved.